As I was writing out what was intended to be a quick social media post, I realized I was typing out a whole story. It has been a long while since I wrote out a blog post but based on the length I realized I had more to say than I thought and apparently I wanted to share it with you. So, here we go. In the spirit of International Podcast Day, I will share with you what this day means to me and a bit about my journey to podcasting. Just moments ago Stacey with The Stacey Harris just gave Brandy Lawson and me with The Tek Girl and shout out which read, “Happy #internationalpodcastday, I’, excited to celebrate the amazing new podcasters who have launched since last year. Amazing ladies like @thetekgrl and @imprintedlegacy.” I was honored and excited about this because 1) I was given a shout out and who doesn’t enjoy those, 2) I always love having something to celebrate about and 3) I have a podcast to celebrate. It was fun because every conversation I have had, I learn more than I knew about the subject before the discussion on some level. I also get to nerd out on my most favorite topic in the world with others! It has rewarding because I have been able to connect with others from all over the world to share the DOHaD message. I also felt like I was able to give you more value than my blog was. It has also allowed me to meet so many amazing people that I would not have met otherwise or perhaps it would have been much later in my life. On top of that, I love that I have a space for researchers in this field to talk about their research and really give us a deeper understanding of their study and also bring in various health experts to share their guidance and have this all in once place! It takes on average 17 years to get research discovery to meet implementation and now we are cutting that time down massively! I am also bringing many health experts into the DOHaD conversation, and they seem to be excited to join in too and how what they do supports this field. It has been exciting because each time I find a new article, or person I want to interview I have an opportunity to meet them and get to know them. Many of my guests I thought would never give me the time of day but they did! On top of that, they were happy about it too. I know this a biased statement but to be honest, I feel like I have the best guests on my podcast and am so proud to have them as my Legacy Leaders. Every single one of them is so knowledgeable, their work comes from their heart to make a change, and they love what they do. They each want to make life better for those living today and tomorrow. I am truly blessed to have met them, to have been able to spend time talking with them and share their knowledge and passion with you. There has been some struggle behind the scenes too. For example, I avoid technology on all levels outside of my business. However, as an online business and in this day and age it is a bit impossible to avoid and it not highly recommended to avoid technology for an online business. Doing this podcast meant I had to learn yet a few more programs than I thought I had to going in. Learning the different programs turned out well and the systems are not all that complicated once I got used to them, but in the beginning, my learning curve felt more like a straight line up. This learning verticle line really may have been more because I am not someone who jumps at the news of new technology even though I do appreciate what technology has done for me and am thankful for it. The other struggle that I am about to share was much scarier than I expected. 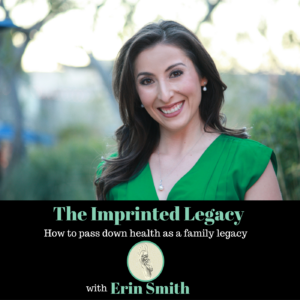 The day The Imprinted Legacy podcast launched I broke down in tears for a good 4 hours after I made the social media announcement that the podcast was live. Everything was going better than I expected but I still just wanted to crawl back in my bed and hide there for the rest of the day pretending I had the power to turn invisible even if just for a moment. You are probably wondering why I would cry so much and want such a silly thing when such an important day was taking place. Well, that’s because up until this moment I wasn’t thinking about myself. I was thinking about those I interviewed, those I was going to interview months from now, how much of an impact it could make in people’s lives, and how much further into the field of DOHaD I was in compared to even a year ago. You see, it all hit me when I woke up that morning that I was now more vulnerable than I have been on my entire entrepreneurial journey. You know that dream where you are in high school walking down an empty hall just minding your own business and then the bell rings and all the doors open, and all the students start taking over the hall and the next thing you know you are as naked as the day you were born? Well, I woke up feeling like this very thing was happening but except for it being in my high school hallway, I was standing in the middle of the world like this. Now, people I don’t know are going to truly see me and all that I tried to hide about myself was out in the open for anyone on any part of the world because you can’t hide who you are when you are connected to your passion and having conversations about it with someone else. Truth be told I only let people in and see my full self when I feel comfortable enough. Now it doesn’t matter because they will see me for who I am regardless of me ever getting to meet them in person first. On top of that, it is all recorded so there is proof of all this. Then my mind swirled with doubt and fear. What if because of who I am people won’t want to listen and not ever hear from the amazing people I interviewed? What if this is a total flop and I have to stop the podcast because it won’t be valuable to people. These are the thoughts and feeling people are often told not to have because it’s a negative way of thinking and these things will happen if you put that energy out there. Well, then that started getting to me too! Ugh, I was a mess. It never crossed my mind that I would feel or think these things the day of the podcast launch. Without my having even an inclination these thoughts and feelings crept in silently and swiftly like a burglar in the night and all I wanted was to save myself from the situation in whatever way I could because I didn’t want to know what bad thing might come of it. In the midst of wanting to crawl back in bed and tears pouring down my face, I kept moving forward. I stayed promoting my podcast and replying to everyone who responded by way of social posts, text, phone calls, and emails. It wasn’t easy, but I knew that regardless of how I was feeling I didn’t come this far only to get this far. But the thing that got me out of feeling so vulnerable and feeling as if it was a scary thing was when I started journaling, and I found myself writing about my “why.” As I was writing and tears falling on the pages, I realized I was writing about all the reasons why I decided to do the podcast. None of the reasons had anything to do with me and my business. It was for something bigger than myself and anyone else out there. I started this podcast because I wanted to give more than what I was through my blog. I wanted researchers in the field to have a place to share their research and talk about the importance of it in a way that hasn’t been provided to them. I wanted to help pull health experts into the conversation of DOHaD. I wanted people to have access to the most up to date information without having to be the ones to make sense of the research articles and all the terms that might lose them. I wanted to get the message of DOHaD out there to the masses, so people had a chance to use the knowledge from this field. 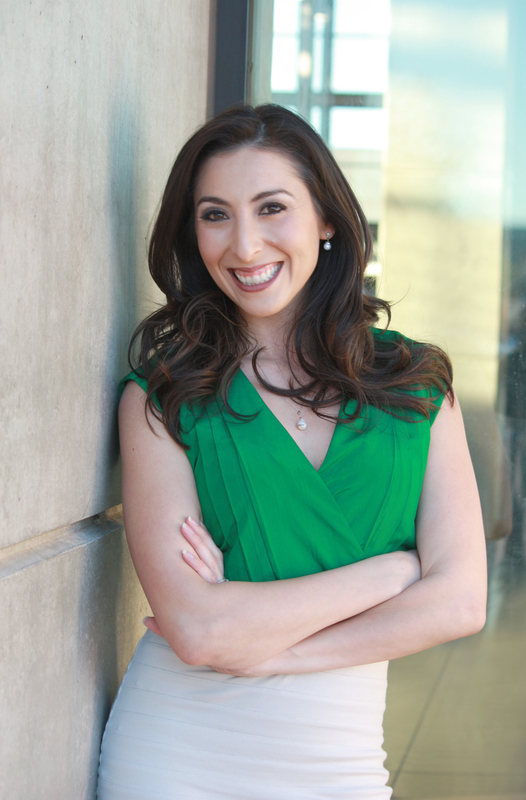 Before I knew it, I stopped crying, and I felt empowered and inspired. I reminded myself why I was doing this, growing Imprinted Legacy, and making the connections that I have been. If having the opportunity to be a part of something so big and so impactful came at the cost of feeling vulnerable and even rejected, then that was the price I was going to pay. Because in all honesty, I think it is worth so much more just to be a part of this movement. As of tomorrow, October 1, 2016, my podcast will be one-month-old. I am happy to report that I look forward to every episode when it gets published and instead of wanting to hide I can’t wait for people to listen to my guest and I chat about health and DOHaD. Thank you, to all of my current guests, future guests, listeners, future listeners, and DOHaD for pulling me out of fear and being my reason to go further on this journey. Erin, your messages truly needs to be heard by anyone who is a new parent, or plans to have children. This is not just in the USA, but across the world. Your information is not limited to just a few, but to millions now and in the future. You have provided years of research, and expertise, that so important to the health and well-being of future generations. With your interactions and communication, with the Developmental Origins of Health and Disease (DOHaD), the experts in the field you interview, and researchers, this can make a HUGE impact on so many children’s lives. If you do any crying in the future related to this, cry tears of joy, knowing you have help provide phenomenal and valuable information, that will touch the lives of so many kids in a positive way. I’m now a grandparent, but would HIGHLY recommend this information be shared with my kids, grandkids and so on. GREAT JOB! !